Do you have missing teeth? If so, you’re not alone. Globally, millions of people are missing at least one tooth, and many of them have no natural teeth at all. This severe tooth loss is also one of the leading causes of Years Lived with Disability. Clearly, tooth loss is a serious issue. Luckily, though, there are a lot of dental procedures that can help to fix the problem, including dental implants. Are you interested in getting dental implants in Costa Rica? How do you know that this is really the procedure you need? Read on to learn more about the signs that indicate you can benefit from dental implants. Dental implants are a type of artificial tooth root. They resemble screws and are placed in the jawbone in the space left by a lost tooth (or teeth). These implants bond to the natural bone in the jaw and become a strong base for artificial teeth (known as crowns). Crowns are custom-made and designed to match the natural shape and color of the other teeth in your mouth. The crown is attached to the implant with the help of a special connector known as an abutment. The abutment supports the crown and keeps it in place. Dental implants also are much more convenient than other dental treatment options. There’s no need to worry about removing them or cleaning them. You can simply care for them the same you would your natural teeth. As long as you’re in good general health and have sufficient bone in your jaw, you can probably benefit from dental implants. If you’re still not sure if they’re right for you, talk to your dentist to see what they recommend. Now that you know more about the benefits of dental implants, you might be leaning toward getting them for yourself. Before you jump into this procedure, it’s important to make sure you actually need it. In most cases, when people choose to seek out dental implants, it is because they are missing one or more of their natural teeth. Whether the tooth was knocked out or had to be removed because of severe decay, dental implants can be used to fill in the gap (or gaps). Dental implants are a good option whether or not the missing teeth are visible. Even if your missing tooth doesn’t affect your confidence, it could still affect your chewing or speech ability. Sometimes, dental implants are a good option even if you have a tooth that isn’t totally missing. If a tooth has a severe crack in it, or if it is broken, sometimes, the best approach is to simply remove it and start from scratch. Most dentists do what they can to save the tooth before turning to implants. In some cases, though, the implant is the only option. If you have several teeth missing, you may currently wear dentures. As you know, when your dentures don’t fit properly, they can be very irritating. They can even cause digestive problems and affect your ability to eat. Dental implants are a great replacement for dentures, and they require a lot less maintenance. Dental implants also provide those who wear dentures with more confidence and can significantly improve their quality of life. Has your face started to take on a sunken appearance? If so, you might be beginning to experience bone loss. If you currently are experiencing bone loss, you should talk to your dentist about getting dental implants. If you haven’t lost too much bone, dental implants can be a good option. They actually stimulate bone growth, so they can help to strengthen the jaw and prevent any additional loss. Are you having a hard time chewing your food? Does your speech sound slurred or do you have difficulty pronouncing certain words? If your teeth aren’t functioning the way they’re meant to, you might want to consider dental implants. They will help to restore your teeth and jaw function so that you can begin to chew, eat, and speak with ease once again. Dental implants aren’t for everyone. But, they can be a highly effective treatment option for lots of people, especially those who are in generally good health and want to restore their smile. If you’re tired of dealing with the issues associated with tooth loss. 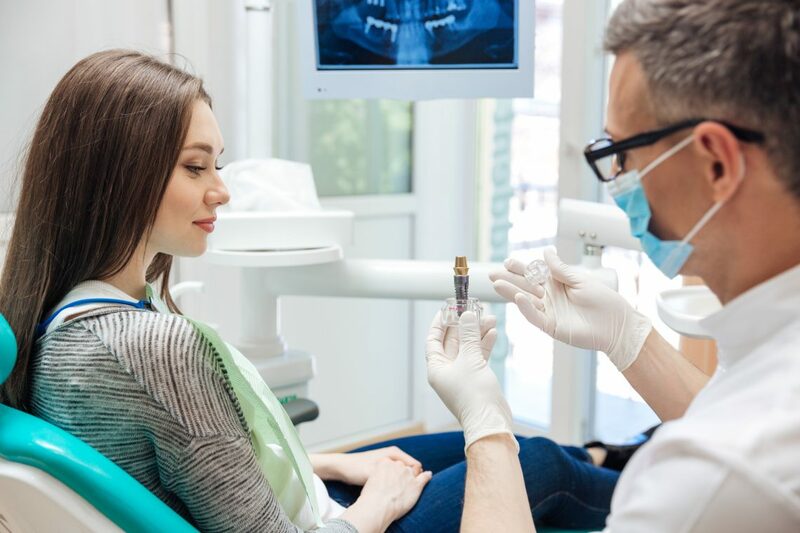 Now that you know more about the signs that you could benefit from dental implants, do you think they’re a good fit for you? If you’re interested in getting dental implants in Costa Rica, we can help at Advance Dental. Contact us today to learn more about the services we offer and how we can help you.